Accounting company ALTUS is specialized in providing tax and accounting advisory services to small, medium and large businesses from 2006 onwards. The company offers a full range of accounting services on a subscription basis and one-time services. The activities of the accounting company ALTUS complies with the latest requirements of the regulations governing your business with all the requirements of accounting, tax laws and insurance. Our chief accountant is Master in Economics with over 20 years of experience. Our experts have extensive experience in solving complex issues in the areas of tax planning, legitimate tax minimization and avoidance of double taxation. We have the knowledge and experience to play a major role in the success of your business. The basic principles of accounting company ALTUS are individual approach, professionalism, loyalty and responsibility towards our customers and partners. We chose the name ALTUS because altus (latin) means "high" and that word embodies everything we strive for since the beginning. We chose this part of the Olympic motto "Citius, Altius, Fortius" (faster, higher, stronger) because high-quality service is priority number one for us. Our accounting company has a team of complete professionals, with experience in the fields of economy, both in production and trade, and also in the areas of tourism and transportation, construction, advertising, consultancy, nonprofit associations, as well as people, engaged in the liberal professions. The specialists from the Firm are constantly improving their skills through further training, seminars and conferences, to stay relevant in the ever – changing and constantly improving fields of accounting and documentation. The accounting House offers professional accounting services for the newly registered and already existing companies. The services also include subscription and one-off accounting services, advice in the field of tax, labor and social security issues. Every client of the accounting House receives a contract for the service they receive, as a way protect his/her interests. Overall, the House functions as a link between companies and their customers. The joint work of specialists in the field of accounting and businesses helps the implementation of accounting duties, the keeping of records, the annual closure of accounts and other administrative services. It also helps with the preparation and presentation of the necessary documents and samples. Those specialists can provide employment insurance services as well as accounting consultations, when necessary. 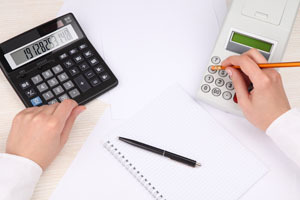 Professional accounting houses execute financial audit for companies. Those audits are needed to provide an independent and objective assessment of the financial statements of a given company. The customers of accounting houses benefit from the knowledge and experience of the professional accounting staff to complete their documentations on time, and also to be able to avoid unnecessary taxes. Furthermore, the professional accountants offer subscription accounting services, which is another advantage in terms of overall costs, since the packets from the subscription services are offered at lower prices. Moreover, subscribers of accounting services also benefit from additional free consultations. All accounting services are offered at reasonable prices to meet the needs of each client. Professional accounting services, provided by financial houses, help save costs in the accounting departments of various companies. The companies are not required anymore to purchase costly hardware and software and to devote a special room in for accountants. Besides, the specialists of the financial houses act as a representation of the companies at different institutions; in that way, the employees of these companies do not need to wait in long queues to submit the necessary accounting documents and thus, can save their rather precious time. In carrying out financial audits, the accounting Houses apply an individual approach to each company, as well as give recommendations, to help improve the particular audited company. The audits are carried out to protect the interests of the owners of companies, of creditors and of counterparties of these companies. The services, offered by a professional accounting firm, are particularly important for firms that are starting their business from scratch, because that way, those firms receive all the necessary services they need to start keeping records, in accordance with all requirements and legal regulations. The usage of professional accounting services also gives companies an advantage in coping with the challenges, set by the new market conditions. Bulgarian legislation is in the process of harmonizing with European Union law, and enlisting the help of professionals, who monitor the changes and innovations in the field of accounting, helps businesses grow and turn into successful competitors of the companies from the Member States of the European Union. We Look Forward To Welcoming You! Please, do not hesitate to contact us. ALL RIGHTS RESERVED © 2006-2014 ALTUS Ltd.